OFRA, West Bank — YEHUDA ETZION does not regret, exactly, helping plant bombs in the cars of Palestinian mayors and plotting to blow up the Dome of the Rock in the 1980s, nor does he express remorse. But he has reconsidered the role of violence in the quest for a Messianic kingdom of Israel, particularly as he contemplates a new generation of radicals he sees as bastardizing their shared ideology. Yes, the aging right-wing extremist is wringing his weathered hands along with much of the Jewish world after last month’s firebombing in the West Bank village of Duma that killed an 18-month-old boy and his father. It is personal for Mr. Etzion, 64, who said he takes “partial responsibility” for not reaching out to the young zealots “to try and straighten out their thinking,” which he described as a “superficial,” “childish,” “distorted” and even “vulgar” interpretation of Jewish texts. 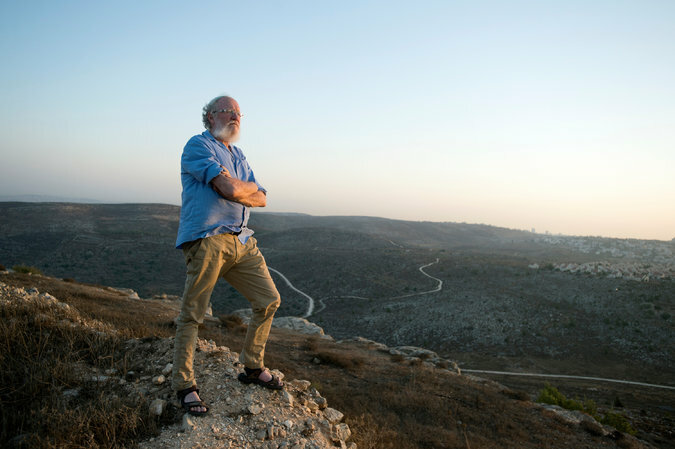 “I can hardly find words strong enough to say how I distance myself from them and reject them,” Mr. Etzion said in a conversation at his home in Ofra, the West Bank settlement he helped found 40 years ago. declaration was devoted to sympathy for the Duma arsonists’ motives; more than himself, he blames the Israeli government for, among other actions, releasing Palestinian prisoners. TO visit with Mr. Etzion is to see at once the differences and connections between the old underground and the current crop of so-called hilltop youth, against a backdrop of an Israel growing more religious and settlements ever more entrenched. The extremists of the 1980s were educated army veterans — fathers in their 30s with a lot to lose. The Israeli authorities describe today’s as mainly dropouts who do drugs, recruited as young as 13 and generally unmarried. But they share their predecessors’ goal of replacing the democratic state with a post-Zionist theocracy as well as some of their tactics: Both Duma and the maiming of the Arab mayors, for example, marked the end of the 30-day mourning period for Jews killed by Palestinians. 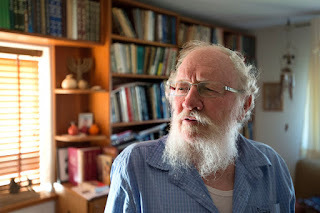 Sefi Rachlevsky, a columnist for the leftist Haaretz newspaper who wrote a book about Jewish Messianism, said he “wouldn’t really believe” Mr. Etzion’s mea culpa. He argued that the real change is the absorption of formerly fringe ideas into Israel’s establishment politics, and said Mr. Etzion knows well that his agitation for Jewish prayer on the Temple Mount, the contested Old City holy site that Muslims revere as the Noble Sanctuary, can itself erupt into violence. Born on a kibbutz to Yaffa and Avraham Mintz — a fighter in the pre-1948 Zionist paramilitary group Lehi — Yehuda changed his last name in 1968 to Etzion in homage to the first block of settlements built after Israel captured the West Bank. As a yeshiva student, he was a staple of the Gush Emunim settlement movement but was further radicalized after Israel’s 1978 peace treaty with Egypt, which involved a traumatic withdrawal from Israeli settlements in the Sinai Desert. His guiding light was Shabtai Ben-Dov, a Lehi fighter who imagined a bloody battle that would bring the Messiah. In “Dear Brothers,” a book about the Jewish Underground, Haggai Segal — who served time with Mr. Etzion and is his neighbor in Ofra — recounted how Mr. Etzion asked Ben-Dov on his deathbed whether removing the Dome of the Rock would be a wise first step toward redemption. A father of seven with “20-plus” grandchildren, Mr. Etzion spends most of his time in Ofra, now a suburb of 700 religious families, in the heart of what Palestinians see as their state. He has edited 15 books, among them a four-volume, 2,800-page collection of Ben-Dov’s writing, and has written five. With a biblical white beard and ruddy cheeks, Mr. Etzion wore sandals and a work shirt over his prayer fringes. He spoke in nuanced paragraphs as his wife of 40 years cooked for the Sabbath, at one point ducking in to apologize for a forthcoming noise. “That noise will soon be a cake,” he noted with an eye-twinkle. Mr. Etzion described as “cowardly” the so-called price-tag attacks today’s radical youth carry out against Palestinian churches, mosques and olive groves in response to Israeli government moves to, say, demolish illegal settlement buildings. But he blamed Israel’s own actions, especially its evacuation of Gaza Strip settlements a decade ago, for inciting the ire.